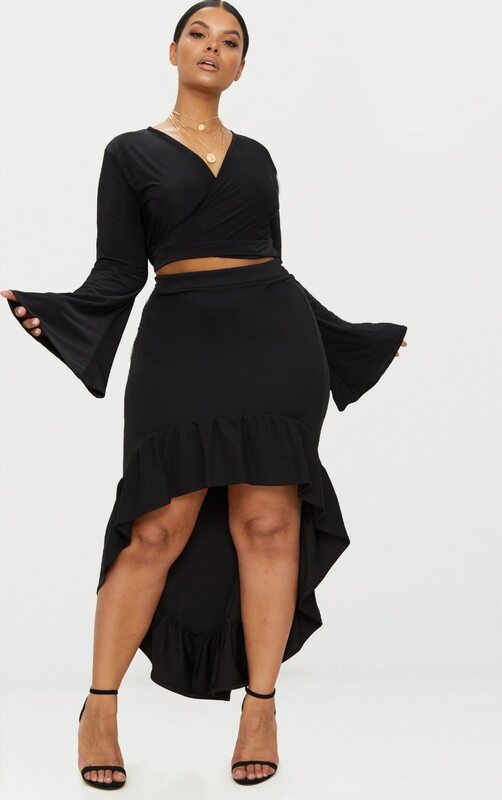 Featuring a black soft fabric with a super cute frill hem, this midi skirt is the ultimate must have for special occasions. When styled with a pretty crop top, you have a dreamy co-ord look made in heaven. Finalise the look with subtle accessories and strappy heels.